Female Australian healthcare workers have experienced high levels of domestic and family violence, new research has found. The first study investigating domestic and family violence among female healthcare workers in Australia has found that almost half of them (45 per cent) have experienced family violence, including one in nine who had experienced abuse and violence by a partner during the previous 12 months. The study, involving 471 Victorian female healthcare workers, found that one in eight women had been sexually assaulted by a partner since the age of 16. Published in the journal BMC Women’s Health, the study is the first to show that domestic and family violence are common in the personal lives of Australian healthcare workers. Lead researcher Elizabeth McLindon from the University of Melbourne and the Royal Women’s Hospital said the study had important implications, particularly as healthcare workers often provided front line support for patients experiencing domestic and family violence. “Healthcare workers are increasingly required to identify and support women and children who have experienced family violence,” Ms McLindon said. “For some workers, it may result in them going the extra mile in supporting survivor patients, but for some women, it could also trigger personal trauma to hear stories of other people’s experiences of violence. “Hospitals have an important role to play in supporting their healthcare workers to ensure their wellbeing is not negatively impacted by their day to day work. This may also improve the support provided to survivor patients. In response to the Royal Commission into Family Violence, Victoria is leading the country in supporting its healthcare workers who have experienced family violence. Health staff have access to 20 days of family violence leave and many hospitals across the state are implementing programs to better support staff who have experienced family violence. The Strengthening Hospital Responses to Family Violence program, led by the Royal Women’s Hospital, is being rolled out across 89 healthcare services and is focused on providing services and training for healthcare workers to support both staff and patients. 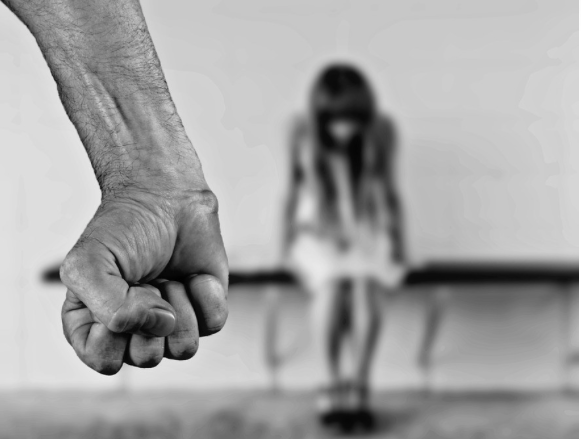 Ms McLindon said the research also showed that violence occurred across a women’s lifetime, with around one in four women experiencing family violence in childhood and almost one in eight experiencing both childhood violence and partner violence in adulthood. Royal Women’s Hospital Centre of Family Violence Prevention Director and University of Melbourne Professor Kelsey Hegarty is study co-author. She said the study reinforced the reality that domestic and family violence affected all women in the community, even those with high education and financially secure employment. “As women who experience violence are much more likely to experience depression and anxiety, self-harm and suicide attempts, sleeping and eating disorders, lower self-esteem and alcohol and other drugs misuse compared to women who live free from violence, it is crucial that healthcare staff are supported to have access to services that assist them in their experience of family violence,” Professor Hegarty said. Some women also reported experiencing violence by other people in their family and by patients. Sarah* is a nurse and has experienced violence across her lifetime, firstly at the hands of a relative as a child and later from former partners. She has gone through extensive therapy to help her process the violence she has experienced, but she is often reminded of the trauma when patients disclose their personal experience of violence to her. “Having experienced violence and not knowing where to go for help at the time, I always make sure that patients are connected to services where they can receive additional supports,” Sarah said. “The impact of those disclosures on me personally vary from day to day. Having a brilliant manager who was a trained counsellor was a big support and ensured I had an opportunity to debrief. “It happens to clinicians too:” an Australian prevalence study of intimate partner and family violence against health professionals was published in the journal BMC Women’s Health. 471 female doctors, nurses, midwives and allied health professionals in an Australian tertiary hospital were surveyed for the study. Ms McLindon works at the Royal Women’s Hospital and undertook this doctorate at the University of Melbourne, supervised by Professors Hegarty and Cathy Humphreys. Ms McLindon is a counsellor with the Women’s Centre Against Sexual Assault (CASA) House.